Please keep your distance from the animal in order to give the animal the best chance of survival. Federal law prohibits touching, feeding, harassing, removing or returning a beached mammal to the water. Please do not pour water on the animal. Seals and sea lions temporarily "haul-out" of the water and go on land to rest. This is normal behavior, so not all animals will need our help. Monitor from a safe distance and make necessary observations . Politely keep other people away from the animal. 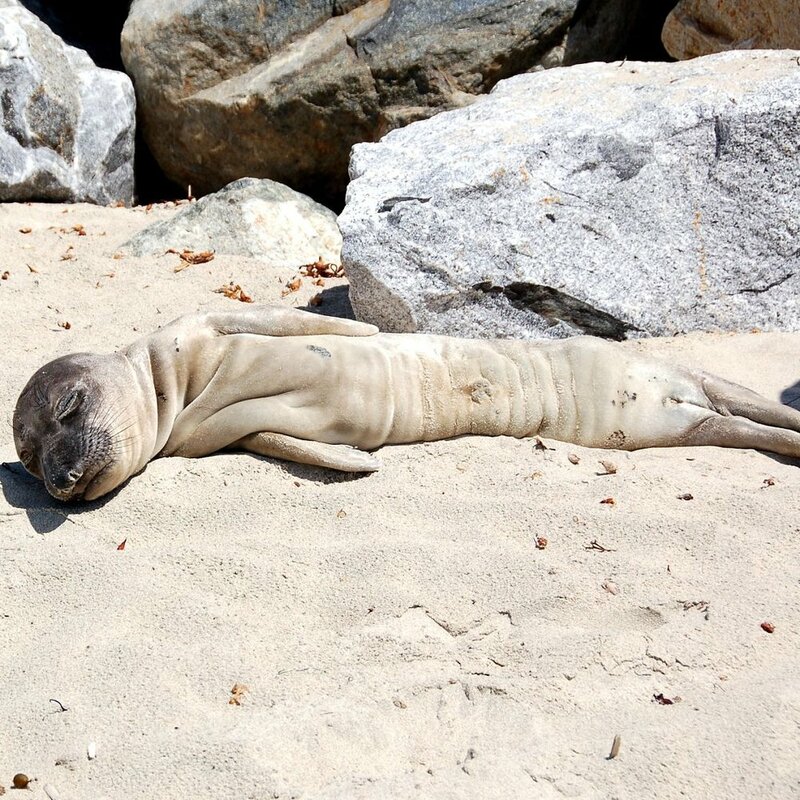 Call Pacific Marine Mammal Center (PMMC) at (949) 494-3050. Ask to speak with our animal care department.